This hotel is 100 percent non-smoking Hilton President Kansas City is the only AAA 4 Diamond hotel located in the Power and Light Entertainment District. The hotel is within walking distance to the Kansas City downtown business district Convention Center Sprint Center several restaurants and entertainment options. On site the hotel offers two restaurants one lounge in-room dining a Starbucks coffee shop fitness center covered parking and complimentary basic WiFi. If you are planning a meeting or event of up to 300 people the Hilton President Kansas City hotel offers 12 000 sq. ft. of elegant meeting space. Our catering and meeting professionals will assist you with every detail. We look forward to seeing you soon and showing you the best of Midwest hospitality. Walnut Room: Beautifully restored to the 1940*s with the orginal stained glass windows and rich wood columns. Offering breakfast daily. American cuisine with healthy choice menu. It is also the ideal setting for private business or social events. Providence: Enjoy our Asado Urban Grill dining options in the comfort of your hotel room. Room service is available daily for the convenience of our hotel guests. 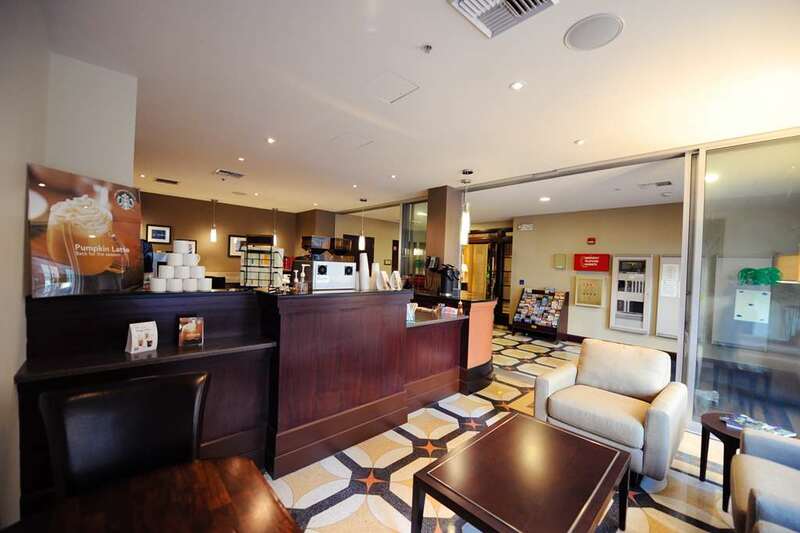 Starbucks: Start your day at Starbucks coffee conveniently located inside the hotel. Power - Light Entertainment Dist. Kansas City Power - Lt.